Home based business is the best career opportunity for those who want to make money from home and people who are not interested to work 9-5 for someone. 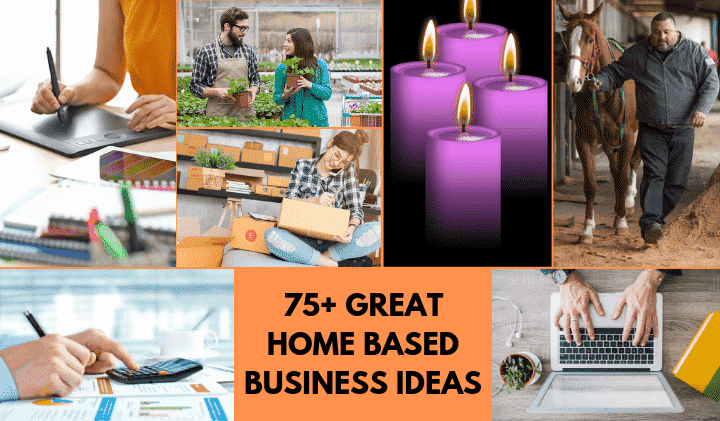 I have researched countless home business ideas but selected 90 business ideas that were successful in 2018. These ideas has more earning potential in 2019 and can be started with low investment. I can assure you that you will find many business idea you can find here that will be perfect according to your interest and budget. You can immediately start any of the home business mentioned below. Have u ever thought of renting your house for few days to tourists and making money from it? If you live in a big city where a lot of people come to visit for business or pleasure purposes then you can rent your entire home or a single room to them and earn money. This could be the best way to earn a passive income right from the comfort of your home. The best part is you don’t need any extra investment to get started. You can list your house on Airbnb.com and find out how much you can earn. If you live in California and rent just one room to 2 people then you can easily earn well over $2500 per month. It's one of the excellent home based business opportunity as it takes very less investment and you can work anytime as per your convenience. Blogging means creating your own blog and write something useful that can solve problems of others. If you have interest about sports, then start a blog based on sports. If you have good knowledge about health related topics then start a blog on that. Next, you need is visitors on your blog. You need to learn different ways to get traffic on your blog. There are many blogs where you can learn about SEO, SMM and other ways to promote your blog. Blogging is not that hard. It looks difficult only for first 3-6 months. Things become cool once your blog is established. All you need to do is buying a domain and WordPress hosting to start your blog. 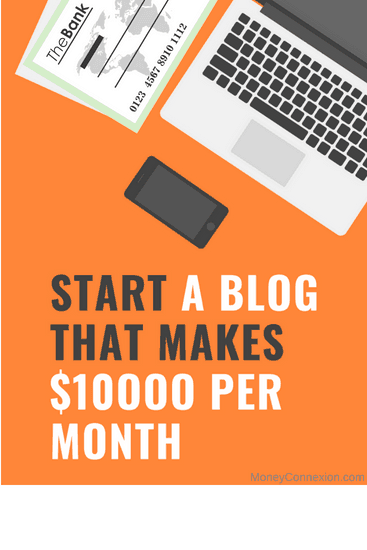 You can refer this simple and detailed guide to start your blog. It hardly takes more than 30 minutes to setup your blog with this guide. Here what you do is buy items like books, furniture, antique, paintings, crafts etc at a cheaper rate from Garage or Backyard sale and sell it at a higher rate on Amazon or eBay. According to one of my friend's experience, few months back he bought a marbled ceramic vase from a Garage sale for just $10 and sold it on Amazon.com for $50. He made profit of $40 with just one sale. Similarly if you can buy and sell more items then you can earn over $3000 per month working from home. Only start up cost you will incur is setting up an inventory. Earning potential could be $35,000 – $100,000 a year depending upon how much effort you’re willing to put in. There are approximately 100,000 virtual assistants listed on Upwork, Guru, Freelancer and PeopePerHour combined. Virtual assistant can be an employee, freelancer or an independent contractor who assists online to various businesses and individuals. Their work may include services like scheduling, organizing and sorting, data entry, designing, copywriting etc. You communicate with clients via VOIP services like Skype, Google Voice etc. However before applying as a virtual assistant online, you must have earned some experience in the real or non-virtual world first. The median income of a virtual assistant can range from $25,000 to $45,000 per year. You can easily get started from your home. Teaching English Online can be one of the most lucrative home based businesses. You can start on your own by building a website and getting new students to join. You have to look out for students by leveraging social media platforms like FaceBook, Whatsup and your own network of people. You conduct online sessions where you teach a batch of 10 to 20 students for 45 minutes. You get paid around $40 – $50 for each session you take. If you are willing to work hard and able to get right kind of students then you can easily make $60,000 a year investing very little. Although you can teach other subjects also but English courses are in great demand because there is no dearth of clients who are willing to pay. Freelance writing is one of the most common and ubiquitous home based business ideas. Anyone who has passion for writing can be a freelance writer. The great thing about freelance writing is each one of you can find a niche. You don’t have to be a Dorothy Parker to become a freelance writer. You can write content for a website or a blog and earn a decent income for each word you write. On an average a freelance writer can earn $45,000 – $60,000 a year working from home. Moreover there is no dearth of opportunities you can find thousands of writing jobs on Upwork, Guru, Freelancer etc. If you want to be more than just a freelance writer then you can publish your own eBooks and sell them online via Amazon. However, it is not that easy as it may sound. People are not going to buy your ebooks if it isn’t worth reading. You can’t expect people to pay for an ebook that doesn’t solve their problems. But if you are able to offer people something new in your eBook then it can sell like a hot cake. The earning potential is unlimited. If you price your eBook at $5 and able to sell 100,000 copies in a year then you have easily made half a million dollar. Fiverr Gigs can be considered as a serious home based business opportunity with a very low income to get started. On Fiverr you get an opportunity to serve clients who are looking for quick fixes. You have to complete the job within 24 to 48 hours. If a company or an individual wants a particular piece of code to be added or removed from their website then you can offer them your services. For example, a client may want you to design a logo or animate a video for a price ranging $5 to $40. You can offer your services ranging from $5 – $10,000. At Fiverr you will be able to find all kinds of gigs to choose from. On an average for a task you can easily earn $10 to $15. Micro Jobs are probably well suited for younger generation between the age of 18 years and 26 years. Micro jobs are various small online jobs like taking surveys, PTC (Get Paid to Click), watching videos, reading emails etc. Here you get paid one or two cents for each task. At best you can earn $150 – $250 a month doing such micro jobs. If you spent time on internet daily doing nothing then you can think of micro jobs for generating passive income. Don’t take it as a serious work from home business opportunity. Website Flipping is for tech savvy professionals with knowledge of digital marketing and SEO. In website Flipping you buy a website in a particular niche for a cheaper price, add value to it like content, design change, get some traffic and finally sell it at a right value. You sell the website 10 to 20 times higher than what you bought for. Initial investment amount needed could be over $5000. Flippa is one of the best platform for flipping websites. You can read this tutorial to understand this business. If website flipping is too hard for you then you can buy and sell domain names. It’s very simple! In real estate business, you buy a property at a cheaper rate, you hold it as price appreciates and then later at right time sell it for a much higher price. Same thing you do with domain names. You buy domain names that are futuristic and can be in great demand in coming years. You think of such businesses, book domain names reflecting that business and buy them in bulk for a cheaper price. Later when a company or a business needs that particular domain name for their business then you can sell them at a price 20 to 30 times higher. To just give you an idea PrivateJet.com was sold for $30 million, VactionRentals.com for $35 million, CarInsurance.com for $50 million. You can see list of most expensive domain names here. You need $5000 – $10,000 to get started. Read this post for complete idea on domain flipping. In USA, YouTube and other such alternate media outlets are challenging mainstream media. Now you don’t need a million dollar in your bank account to shoot a movie or record a video album. Whether you are a College student or housewife it really doesn’t matter. You can shoot videos from your camcorder or iPhone and upload on YouTube. If your video goes viral then you earn for each 1000 views you get. You can also promote products and merchandise and earn commissions. Just discover your passion like music, dance, cooking, teaching, sports, political commentary etc record videos and upload on YouTube. Initially, you don’t need anything extra, investment of just $3000 – $5000 would be fine. But as you progress and become more professional YouTuber then you will require a recording studio. Counseling is a thriving business in USA. It presents you an opportunity to earn well over $60,000 a year from home. Career counselors are in great demand across the country as students and professionals look for career guidance. When there is a recession companies are forced to cut corners and lay off many of their employees. Such employees who are downsized without any hope are willing to seek help from a professional career counselor. For an hour long session you can earn between $50 – $300 depending upon the city and area you live in. As a startup cost you don’t need more than $5000 for few furniture, computer and advertisement expenses. Before you read any further I need to warn you that Stock Trading is not for amateurs. Earning opportunities are really great but only if you know how to analyze markets and stocks. If you do then you don’t need much to get started, just a computer with internet connection and an account with a brokerage company would be enough. The investment amount is so low that you don’t even need $5000, just $1000 is enough if you know to leverage your position. A successful trader can earn $100,000 – $100,00,00 depending upon his/her experience and risk appetite. One of the most likeable thing about MLM (multi level marketing) is anyone can join the program and become successful at it. Whether you are just a high school graduate or a college dropout any sort of educational qualification is not required. You got great MLM companies to promote for. Amway, Herbalife, Forever Living etc are just a few to name. Join a company as an associate and start promoting their health products to your family and friends first. And Then with some experience you can broader your network bringing in more new associates under you. You just have to pay for initial membership (which is not more than $100) and start promoting their products. Before you read further don’t conflate medical transcriptionist job with data entry jobs. These two jobs are totally different because they completely require different skill sets. Medical transcriptionist jobs are in great demand in USA because there is a shortage of qualified Medical Transcriptionists. Hospitals and Insurance companies require them for documenting patient’s health report, research data and other documentation purposes. You require good listening skills, knowledge of medical jargons and terminology, typing skills, two years of higher education with 6 months of training as medical transcriptionist. You have to invest over $4000+ for buying computer hardware and software along with a transcriber unit. Medical transcriptionists are paid $30 – $50 per hour with an earning potential of $80,000 a year. This income is way more than a regular data entry operator. Companies/Individuals who want to do business with the federal, state governments and counties are required to send request in writing to them. These requests also known as Request for Proposal (RFP) must be written professionally with excellent grammar. Hence they need Grant Writers to do that. Grant Writers are required to have knowledge of laws and regulations for a given industry, knowledge of technology, ability to write logically with numerical data. They have to produce professional looking documents that include graphs, charts, spreadsheets, tables etc. Writing a proposal is a highly skilled job and requires years of experience in sectors like health, education etc. To get started you need a computer, a color printer and some furniture. An investment of $5000 should cover it. A grant writer can earn $40,000 – $100,000 a year depending upon his/her experience and writing skills. Physicians are required to submit medical claims of their patients to medical offices by law. Usually medical offices are flooded with medical claims that require a lot of paperwork. So they hire independent individuals outside billing services to process medical claims and provide services like invoicing, payment collection from patient, tracking past dues and answering patient’s queries. You must have thorough knowledge of insurance billing, CPT coding, Medicare and Medicaid regulations. You need a lot of patience to process claims and sharp interpersonal skills. To get started you need a computer with internet, printer, medical billing software, fax machine, CPT coding manual. Startup cost can go up to $10,000. However you can earn $600 – $2000 per client. The market for fine art of calligraphy is very large, diverse and competitive. If you are a skilled Calligrapher then you can start your own home based business. Calligraphy appears in items such as wedding invitation card, birth notices, certificates, tombstone decoration etc. Your customer will supply with the necessary data and you write accordingly. You offer calligraphy services to schools, wedding halls, sports club and businesses etc. It is a very skilled job and requires a lot of craftsmanship from your side. You will require calligraphy pens, special paper, ink and off course a steady hand. An investment of $1000 would be fine to get started. Potential earnings could be up to $30,000 a year. People are still willing to pay more for a handwritten calligraphy invitation over a computer generated invitation card. In USA the mystery shopping industry is valued at well over $2 billion a year. A mystery shopper gets paid for giving feedbacks and writing reviews about a particular product or service of a company they use. Market research Companies and watchdogs want to know what consumers think of products and services offered by a particular company. So they hire mystery shoppers like you to perform tasks such as purchasing a product, using it and giving detailed reports about your experiences to them. You can walk into a restaurant and give a feedback on the level of service offered by the restaurant. A mystery shopper must be able to write reviews about a particular product or service. You get paid for each report or feedback you submit. Internet has been there for a while now but online journalism is relatively a new concept. You don’t need a degree in journalism or mass media to become an online news correspondent. There are hundreds of web journals and media houses who are willing to pay contributors for each article they write for their website. If you got a story then you can pitch it to websites like HuffPost, BuzzFeed, Examiner, etc. They compensate you based on ad revenue generated by articles written by you. You can contribute to different websites weekly and earn a decent income. On an average an online correspondent can earn $3000 – $8000 per month. If you have proficiency in different languages other than English then you can start offering Translation services to companies from home. In a global marketplace translators are needed for business communication to translate texts into other languages like Spanish and Japanese. Apart from developing a glossary of terms to use in translation they are also required to develop icons and illustrations that are effective irrespective of different cultures. You will require certain reference material and normal office equipments to get started. You can earn $30,000 – $40,000 a year with an initial Investment of $2000 – $2500. As a college Application consultant you will be required to solve problems for high school seniors and their parents dealing with emotional issues, assess their skills and match them accordingly to a right university. You also need to assist them in filling financial aid and application forms and submitting them to their college. You can easily earn $25,000 – $35,000 per year with an investment of $2000 for advertisements. As a small business consultant you help people to start a new business smoothly. You guide them through all the government regulations, integrate technologies and beating the competition with a tight budget. For a small business consultant it is imperative to have knowledge of marketing, experience in business administration, planning and research ability. A business consultant can earn $500 – $2000 per day depending upon the type of business he/she is consulting. A political Consultant is one of the most lucrative jobs in America & worldwide. A survey conducted by American University discovered that nearly 50% of all the political consultants in USA make well over $100,000 a year. Whether you campaign on behalf of Democrat or Republican, irrespective of political party, political campaign managers make huge amount of money donated by the donor class. To become a successful political campaign manager you need some background in Public Relations. People with an extensive background in Music industry can become concert promoter and earn from the comfort of their home. As a promoter your responsibility is convincing agents that you are going to promote their clients if they are willing to bring them to your town or city. Here you need to have connections with local media for PR purposes. First you need to establish yourself with an impeccable track record of delivering successful live concerts. Once you have established yourself you can make thousands of dollars for each concert you promote. You must have connections with music industry, media houses and other promoters to succeed. Telemarketing is a marketing tool that helps businesses to reach out their customers on phone. Unlike other forms of marketing here you directly talk to your potential customers on phone. You will help companies to grow their customer base. You can hire two or more telemarketers who will call customers from a list and pitch them products/services. The database of customers with their name, address will be provided by the company. You don’t have to worry about the data. You need telephone equipment and a computer with printer. Startup cost can be well over $6000. Usually you get paid on hourly basis, like $40 for an hour. Small and medium size businesses need bookkeepers to help them stay up-to-date with ever changing tax-laws. A Bookkeeper is responsible for certain tasks like billing, handling payroll, preparing financial reports, making deposits etc. Unlike accountants who audit the records, bookkeepers are just record keepers. So you don’t have to be an accountant to become a bookkeeper. To become a bookkeeper you must have knowledge of tax laws and basic bookkeeping principles. You need a computer, accounting software and an office space to get started. You also need to spend on advertisements to get clients. A bookkeeper can easily earn $25,000 – $45,000 a year from home. In USA every second person is obese. Thanks to junk food culture! But people who are health conscious are aware of this fact. So for eating healthy and nutritious food they are much willing to pay a nutritionist to get a right advice. As a nutritionist you will not only consult them to eat healthy meal three times a day but also help to lose or gain weight naturally. You assist according to client’s demand. To get new clients you need to advertise online as well as offline. You also need to build contacts with other established nutritionists. You can easily earn $30,000 – $60,000 a month depending upon the city and area you live in. In USA, people love their cats and dogs. Do you know where most beautiful breeds of cats and dogs come from? Yes from animal breeders just like you. If you have knowledge of specific animal breeds and breeds standard then you can become an animal breeder. Once you know which breed to specialize in, you need to build a small kennel and a breeding ground. Then you have to find best dog or cat to breed. You also have to find suitable breed match for your initial animal. You sell their offspring to pet shops in your area. You need an investment of $15,000 – $20,000 to get breeding equipment, home kennel, breeding area and a permit. You earn $500 – $1000 per animal. Traditional marketing strategies like distributing pamphlets, handbills, flyers etc will never go out of fashion. Mainstream media like TV, newspapers, radio etc can never replace old fashioned marketing techniques. Handbill distribution business can thrive in an area with a high concentration of people like metropolitan cities with huge shopping malls and other buildings. Few college students working part time for you can distribute handbills in areas frequented people. Your handbill distribution business will help clients to promote their business through conventional marketing. An initial investment of $1000 – $2000 would be enough to get started. You will also need to hire few boys for distributing bills. You charge $10 to $20 for per drop off. Auto detailing service can be rendered from your place, right inside your garage. In USA, auto detailing industry stands around $13 billion. You too can get a piece of pie. Auto detailing service is not like auto repair shop where you have to have an inventory of expensive auto parts. Whether it is exterior or interior of the vehicle, Auto detailing is all about cleaning, polishing and finishing of the vehicle. You do NOT repair or replace auto parts like brake system, transmission system, exhaust system or any engine components. Auto detailing can be divided into two parts Interior and Exterior. In interior detailing you deep clean cabin, seats, dashboard, carpet, upholstery stains etc. Exterior detailing is all about cleaning and restoring surface of the car, windshield, door windows, wheels, tires etc. To get started you need a garage, equipment like brushes, toothbrushes, cotton swab, airbrush, paint etc. You don’t need any heavy equipment that is expensive. An initial investment of $10,000 – $15,000 would be fine. You can easily earn $200 – $800 per car you detail. Homes and offices need beautiful gardens with blooming flowers and plants. If you have a passion for plants, flowers and love to work in dirt outside for a long period then you can be a garden designer. You will help home owners in designing their gardens, choose right color by deciding which flower will bloom where. Not to confuse here, a garden designer is different than a landscape architect. Here you work with plants and flowers however a landscape architect has to mow down grasses in order to create will sculpted foliage. You must have knowledge of horticulture, various plants, growing seasons and climate. You will require simple gardening tools, seeds, hoses to get started. In order to get new clients you need to be active in your neighborhood by participating in community meetings. A garden designer can earn as lows as $200 and as high as $1000 per project. Special Occasions like wedding, funeral, theme parties etc always require a professional florist to design and arrange flowers. Floral arrangement requires a lot of creativity and talent. It is not necessary that you have to be a certified florist. However you must know how to decorate them in a way that your clients can appreciate the design. Remember you don’t have to grow flower or sell them at a retail shop. You just have to arrange them that look good to eyes. It is all about visuals. You can start this business by contacting wedding planners, funeral services and flower shops in your area. Most of your initial investment will go into finding new clients. You can easily earn $200 – $500 per wedding or funeral. Cake decoration is a far bigger niche than you can realize. Almost every ceremony like wedding, anniversaries, birthday parties, graduation days etc requires a cake. So business opportunity is really great! What you need to get started is very minimal, just baking and decoration skills. Your job will be baking the cake perfectly, decorating it as per your clients’ wish and delivering at their doorstep. Creating wedding cakes can be more profitable than creating for other occasions like birthdays. However you need more time and expertise to create a wedding cake. You will require basic equipment like oven, baking pans, utensils, decorating supplies and baking ingredients. You may also have to get food preparation permit. You can earn $50 – $1000 per cake. Jewelry designing as a home based business opportunity is not for everyone. However if you have a lot of creativity and a keen eye for identifying right kind of precious stones, metals, crystals then this business is ideal for you. For many Jewelry designers it is a family business. But others get into this business because of their passion for jewelries. As a designer you must be expert at cutting, shaping, polishing, welding, engraving and mounting different kind of jewelries. If you have a jewelry business then you don’t need a formal training or any certificate to get started. But for others a certificate from Geological Institute of America and some formal art training is important. You will require basic equipment like pliers, jeweler’s loop, vices, magnifying glasses, molds, melting equipment and off course a steady hand. Start up cost can be anywhere between $5000 to $ 25,000. You can easily earn $35,000 – $100,000 a year. Art and Craft classes are not just hobby but a serious profession that can bring money into your bank account. If you are into creating art like paintings, drawings or crafts work like sculpturing then you can start giving lessons from home and earn money for each class you conduct. There is no dearth of students who are willing to pay an arm and a leg to learn art and craft skills especially if they are living in a metropolitan city like New York, LA or Chicago. To get started you need painting kit like paper, sketchbooks, masonite, canvas, acrylics, oils, pastels, watercolor, inks, pens, brushes, varnishes etc. Since sculpturing involves carving and casting hence you will require modeling clay, wax, copper wire, loop, armature board etc. An initial investment of $5000 should cover all of this. Earning potential can be anywhere between $20,000 – $60,000 a year. I don’t think you need any explanations for starting a laundry business. You already know what you have to do. But don’t take it lightly because you have to be a perfectionist and pay attention to every small detail while laundering clothes. Other than buying basic materials like laundry soap, softeners, starches you also have to buy laundry machines like washers, dryers, press and ironing board. If you already have them then your initial investment could be less than $2000. Otherwise it can go up to $10,000. You can charge $10 – $20 per pound of clothes for washing, drying and ironing. On an average you can earn $25,000 – $35,000 per month. Growing Medical Marijuana or cannabis is perhaps one of the most unique and lucrative home based businesses in USA. If you live in a state where marijuana is legal (like Colorado) then you can start this business right in your home. Right now Marijuana for medical purposes is legal in more than 30 states in USA hence finding buyers wouldn’t be that difficult. It is used in treated pain, nausea, muscle spasms, anxiety, depression etc. You are going to grow buds right in your home garden just like Cheech and Chong did in movie named Nice Dreams. You will require seeds, cannabis plant, fertilizers, Hydroponics, HID lights, air conditioners, watering system etc to get started. Start up cost can be very high and go up to $25,000 but returns are really great. You can earn up to $75,000 yearly selling marijuana to hospitals, clinics, marijuana bars etc. Disc Jockey or DJs are in great demand because it is lot cheaper to hire a DJ than a live band for a party. Hence party givers are more inclined to hire DJs. As a DJ you will require developing your own style of blending music instead copycatting others. If people are addicted to your music then party givers would be much willing to pay you anything for few hours. Today’s equipment for producing excellent sound quality are much small and portable hence making your life as a DJ a lot easier. You will also need a collection of DVDs. You will work on contract for 3 to 4 different jobs in a day. Startup cost can go up to $10,000. You can earn $200 – $300 per event. You get a call from a client who wants to fix something in their house and you respond by sending one your handyman who can do the job. Your handyman will complete the job, collect the check for the service he had just rendered and give it to you. Then you will give a percentage from the check to the handyman and keep the remaining amount with you. That’s how handyman network business works. To start this business you will require building a team of handymen who can do jobs like plumbing, roofing, deck building, painting, fixing dripping faucets, electrical repairs etc. You need a van, well stocked tools and handymen who are willing to work on call. You also need to spend some money on advertising for getting handymen. You can easily earn up to $50,000 a year with an initial investment of $1000 – $2500. People with smashed iPhone and iPad screen are going to come to you. They are looking for cheap ways to fix not just their mobile phones but also desktops and laptops. You can establish an electronic repair shop right in your basement or a garage. However, you must have a great deal of experience fixing electronic gadgets and their parts. You don’t have to be a jack of all trades. If you just have an expertise in fixing Apple products especially iPhone only then you can earn well over $50,000 a year easily. You will need electronic repair tools like circuit boards, soldering iron, sponge, magnifying glasses, electronic spare parts etc. An initial investment of $5000 should cover all of this. Borrowers who want second or third mortgages are always looking for lenders who can lend money to them. So they come to a mortgage loan broker to find a lender. These borrowers can be individuals as well as firms who want a broker who can set them up with a lender. Sometimes it can be reverse also, where you help lenders to find borrowers. You work independently just like a real estate agent. You must have extensive knowledge of real estate industry and financing. To get started you will require an office, business cards, letterhead etc. Start up cost is very low and can be in a range of $5000 – $10,000. You earn 4% of the value of the mortgage you place. If you own more than one car then you can always think of renting it out to someone else and charge a fee on per hour basis. People who are cab drivers are always looking for new cars that they can rent and use it as a cab or taxi. You earn money depending upon the type of car you are renting. Low end cars can pay you $5-$8 an hour and high end cars $20 – $25 per hour. If you own a big passenger vehicle or a MUV then you can charge even more. Not just cars, you can also rent out a boat if you own one. On weekends and holidays people love to go fishing with their families. Many of them don’t own a boat because it is too expensive. So they would rent out from an owner like you. Advertise your car or boat that you want to rent on Craigslist and get started. No matter what economy is doing people have to give something special to their loved ones on occasions like Christmas, Thanks Giving, Mother’s Day, Valentine’s Day etc. Many choose to give a Gift Basket full of goodies over a simple greeting card. To be honest there is a huge market for gift business. If you have a creative mind with a splash of marketing sense then you can go very far in this business. For walk-in business you need a store upfront in a right location. You can also go online by creating a website and delivering the gift basket at client’s doorstep. You also need to spend on advertisements for getting more clients. Start up cost can go up to $20,000 and your potential earning could be $30,000 – $50,000 a year. Art Collector business idea is not for everyone as it requires a lot of patience to grow this business. You need to have a keen eye for identifying art that is not only aesthetic but also can find buyers who are willing to pay huge amount of money. You can buy arts from art students of a local university and sell it online/offline in an auction at a price 10 times higher. To find buyers who can pay thousands of dollars for one painting you need to stay in touch with the people associated with art industry like artists, fellow art collectors\curator, organizers etc. As a resume writer you write resume and cover letter that looks professional and add value with additional services like cover, follow up and referral letters. You also have to post them at multiple websites for your clients. Resume writing can be a time consuming job as writing down job histories, expertise and skills of a client needs a lot of due diligence. Start up cost is just over $1000, you need a computer and some advertisement expenses. A resume writer can easily earn $50,000 a year in a city like New York or LA. In NY resume writers charge up to $400 for writing one resume. I have researched countless home business ideas but selected 90 business ideas which are unique. These ideas has more earning potential and can be started with low investment. Gourmet restaurant is not a new concept but it is great home based business. If you love cooking for your large family then you can turn this love into a small business. How to Start: Just invite few close friends to the dinner and spread a word about it on social media. Then you can charge them money for food that you serve. Minimum Investment You Need: You need nothing just good food and create an ambience. Well in certain societies marriages are arranged and in others they are not. But if it is arranged then you can be a match maker. How to Start: You can start fixing marriages for your near friends then you can turn into a small business charging a fee for every successful match making. Minimum Investment You Need: Initially you do not need any investment but later on you need to place ads in newspaper etc for more customers. A day care where you take care of kids whose parents are busy. You can also start pre nursery schooling but it is optional. How to Start: You can start in your home with a separate room and start looking after 4 to 5 kids. Minimum Investment You Need: Initially you need a room with furniture’s, toys and few maids to pay on monthly basis. Food truck or food carts are not new because you have seen them on streets selling snacks, meals and other items. How to Start: You need to buy one of these carts or trucks and hit the street. Minimum Investment You Need: Cart is cheaper but a truck or a vehicle could cost more. So start with a cart and then get a peddler license or a hawker license. A small boutique selling fashion accessories that are not available in big stores. How to Start: You have to have good clothes, shoes, jewelry and other stuff. Minimum Investment You Need: Here you could buy a shop instead of starting in your home. Then you need fashion items to fill the shop. You could cater food for occasions like marriages, parties and other social gatherings. The business is very profitable and easy to start also. How to Start: Well to start you need good cooks and spread a word about your business to the people. You also need to arrange rationing. Minimum Investment You Need: Here you need to pay cooks, food items and off course for banners and posters. This is another very popular home business idea with very low investment. If you have children in your home then start a coaching centre or home tuition. How to Start: You can start calling children in your home and giving them tuition later you can turn into a bigger coaching center. Minimum Investment You Need: If children are more then you need to rent a room and you also need furniture’s, stationery etc. Event coordinator or organizer where you organize marriages, partiers, funerals etc. The job is not new and it could be done from home. How to Start: Well you need some formal training or course in event management and then start building contacts and make money with it. Minimum Investment You Need: The money that you need is for courses. But you need a lot of time to build your contacts. You can make candles and soap in your home and earn money with it. Candle making and soap making are very popular form of home business. How to Start: Here you will need a separate house or a room to set up your small factory or manufacturing plant. Minimum Investment You Need: You need to pay for raw materials like wax and chemicals for making soaps plus electricity bills. Music and dance classes are just like tuition classes. This is great if you live in cities where parents want their children to learn something extra. How to Start: Start looking for kids in your area and arrange a room where you will give training. Minimum Investment You Need: You need to invest capital in arranging music instruments, furniture, a room and advertisements. This kind of home business works well when you are living in cities with high income people. You can become their personal chef and cook whatever they ask. How to Start: Here you need to build your contacts and hoard all the best ingredients that go into preparing a dish. Minimum Investment You Need: You need personal course in cooking and hospitality then you have to pay for expensive food items. Knitting, crocheting, quilting and embroidery work is really great home based business for women. How to Start: You need to collect clothes that need finishing like knitting and some embroidery work. Minimum Investment You Need: You need a way to collect clothes from your customers for that you might use advertising. You also need basic clothing items for this business. Baking and cooking classes is another great idea for a home based business. It is easy to start and does not need much of an investment. You can sell cakes and also teach how to bake it or cook it. How to Start: Well you need rationing items like flour, sugar, chocolate etc and few chefs also. Minimum Investment You Need: You need investment for food items and also you have to pay for arranging coaching classes. Pickling and jam making could be done right from your home. You can start this business with minimum form of investment. How to Start: Obviously you need items and ingredients but you also need to talk to distributor and dealers that are going to buy your products. Minimum Investment You Need: You need money for key ingredients, few workers, electricity for machines and payment to distributors. You can design and tailor clothes for few special occasions like festivals and other social events. Off course the money you charge for making would be high. How to Start: You need to develop tailoring skills and establish a shop that caters to people with special needs. Minimum Investment You Need: You have to spend money on buying a shop, clothes and other expensive items. Per care and training is also a popular home business that you can think of starting. You take care of others pet and also train it like how to poop etc. How to Start: You need to spread a word about your pet care either through your friend circle or through advertisement. Minimum Investment You Need: You need a good place where people would love to leave their pets like a swimming pool is must and few other things. Beauty parlor is nothing new and you can see a beauty parlor in every corner. You can also offer make up services by going to their place. How to Start: Well it is very easy, you can set up the parlor in your home or rent out a shop depending upon location. Minimum Investment You Need: You need investment for chairs, mirrors, cosmetics and renting space. You can extend your beauty parlor to massage parlor. Here you give services like body massage and other spa treatments. How to Start: Well starting a massage parlor you need a location and a lot of interior designing to your place. Minimum Investment You Need: First of all you need to hire a professional masseuse to give message then a lot of items for interior decoration. Tiffin or homemade lunch box delivery is also like food and catering services. Here you cook meal and distribute in offices. How to Start: You need to have good chefs and ingredients must be of good quality. You also need men who will be distributing these Tiffin to offices. Minimum Investment You Need: You need to hire men for distribution and then for cooking you need rationing. Everyone can open a provision store or a grocery shop. You can do from home and if you are serious then you can rent out a space in prime location. How to Start: Here you do not need an advice as it is very easy to start and every one can do it. Minimum Investment You Need: You need daily supplies of basic provisioning items in lower cost, so talk to your local distributors. If you live in a small town or city then a cyber café with Xerox Machine would be a nice small business right from your home. How to Start: You need to rent a shop at a good location and then start your business. Minimum Investment You Need: Renting a shop, you also need cabins or booths for cyber café then you also need a Xerox machine. Opening up an Ice Cream parlor is also nice business. It is very easy to start right from your home. However you need certain things before you get started. How to Start: Well you need to arrange supply of milk and other ingredients from a dealer then you need skills how to make perfect ice creams. Minimum Investment You Need: Apart from daily supply of milk you also need big refrigerators and monthly electricity bills. Car or School Bus pooling business is also a great home based business. Office going people or school going children need car or bus, so car or bus pooling service is the answer. How to Start: Well you need to tell people in your neighborhood that you provide car or bus pooling services. You have best cars and school buses. Minimum Investment You Need: First you need to have transport buses or cars. You can start with second hand or used cars to provide pooling services. You can open a gym or a small fitness centre. There you can give fitness training or also be a yoga instructor. How to Start: You need to look out for a space where you can bring in all the equipments and then spread a word about it in your neighborhood. Minimum Investment You Need: Off course investment for equipments and then may be for renting a space. If you are a medical student with a medical degree then open a dental care or a clinic for treatment of fever, cold etc. The return would be great because there is no loss. How to Start: You can start from your home by arranging equipment required for running a clinic. Minimum Investment You Need: You need money for all the medical equipment, supply of medicines and a license for running the clinic. Interior decoration services are really great if you live in a big city. You get a lot of customers for designing their homes and interiors. How to Start: You must have a professional training in this field then you need an office and clients to start off your business. Minimum Investment You Need: You must have a degree or some kind of formal education then spend on advertisement to get clients. Mail order or Envelope stuffing business is not new and very popular form of home business. You all know about it. You need to send pamphlets or leaflets to their address through mail. How to Start: First you need to get register to a small company that offers you a membership then start this business. Minimum Investment You Need: First you have to pay for the membership cost then you need to pay for stationery and for stamps etc. Courier services are great if you are ready to become franchisee of a big company. You can easily start this business. How to Start: Get a franchisee licensee and start spreading a word about your business. Minimum Investment You Need: You need to hire few employees who can work in your office like taking orders and managing data of items to be delivered. You could also sell items on behalf of E bay or Amazon. You can become Amazon seller and sell items like clothes, footwear and other accessories. How to Start: First you need to sign up with Amazon and give your details to become an Amazon seller. Minimum Investment You Need: You need to have warehouse where you can store various items that has to be delivered. HR recruiter is nothing new. You can do this either from home or take an office. You recruit people and send them to companies that want to hire them. How to Start: Well you can start from home by giving ads in newspaper in classified columns or by sticking bills on bus stops. Minimum Investment You Need: Here your only investment would be placing ads. Real estate agent is also a great idea to make money from home. How to Start: You need to use your contacts or relation to start this business. Later you charge them a commission on every home you sell. Minimum Investment You Need: Initially you need to spend on developing contacts and later on advertisements. You have love for plants and gardening then you can turn this passion into a small business right from your home. How to Start: You can sell various plants like rose, jasmine, money plant etc. You can also offer landscaping services. Minimum Investment You Need: You need to have contacts with horticulture institute or a centre to buy exotic plants. Home cleaning and renovation services are on high demand hence you can offer these services by arranging men and women. How to Start: You need to organize men and women that do cleaning and renovation services for the clients. Minimum Investment You Need: You have to pay these men and women for the job they are doing. If you have good knowledge of SEO and web designing then you can start a home business in SEO and web development. You can work as a freelancer or start an agency by hiring professional freelancers. How to Start: You need a computer with internet connection that is it. Yes for web designing you may need more than that. Minimum Investment You Need: A desktop or laptop, internet connection, few people for programming and other freelancing work. Data entry work is very common and one of the best home business. Although it is not a business but you could make money with it. How to Start: Get registered with a company and start undertaking the projects complete it and give via email. Minimum Investment You Need: Only investment you have to make is paying a fee for registration and internet connection. Desktop publishing could be done from your home with minimum investment if you have knowledge of photo shop. You can create flyers, posters, pamphlets etc with desktop publishing. How to Start: You need to learn photo shop completely and start offering your services. Minimum Investment You Need: A computer, the licensed photo shop software and a space to run your office. Proofreading and editing work can also be done from your home. However you need to have good knowledge of English language and grammar. How to Start: First learn grammar and good English then go to internet and start looking for websites that offers freelancing jobs like proofreading and editing. Minimum Investment You Need: You need to have command over English language and an internet connection. Herb farming is close to plant nursery but here you grow certain kinds of rare herbs like basil, mint, sage etc. This could be done from your home. How to Start: First you need to plant these herbs in your garden, start with herbs like mint, give right amount of water, sunlight and other minerals. Minimum Investment You Need: You need good quality soil, herbs seed then an area with perfect water supply and sunlight. If you have given birth two to three times then you can use that experience and turn into a business. You can use your expertise to doula services to others. Later on you expand it to a maternity clinic. How to Start: Well you need to spread a word about your service and get clients. Later you can start your own ward or clinic in your home. Minimum Investment You Need: You need to have experience of giving birth many times. Gaming parlor is just like starting a cyber café. However here you need to have computer with high processing speed. Kids and teenagers are going to love it. How to Start: It is just like starting a cyber café, you need a shop where teenagers can come and play. Minimum Investment You Need: High processing computers, software and a space on rent at a location where it can attract kids and teenagers. You can turn your basement into antique shop. If you have a hobby for collecting antiquities, furniture’s then turn it into a business. You can also sell second hand books like novels, magazines and other books. How to Start: Well start collecting antiques and furniture in your basement or garage. You could also collect books that cannot be found elsewhere. Minimum Investment You Need: Here time is the most important investment that you have to make. Rest of the things is easy. Daily morning we read newspaper, you could become dealer or distributer for daily newspapers and other magazines in your area. You will collect all the newspaper and distribute to people in their homes. How to Start: You need to contact the newspaper or the magazine company then you also have to arrange boys that are going to deliver the newspaper every morning door to door. Minimum Investment You Need: You need to hire few delivery boys and pay for buying thousands of newspaper daily. Fish farming is also a great small business idea from home. You can rear fish in your backyard and sell it to open market and make some profit. How to Start: Here need to have some knowledge about fish farming business. Minimum Investment You Need: You need to buy fishes to domesticate them then you also need a separate where they are going to be cultivated. Just like fish farming milk and poultry is also a great business idea with very minimum investment. In fact it is easier than the fish farming. How to Start: If you domesticate chickens, hens and few cows or buffaloes in your backyard then you can start this business. Minimum Investment You Need: You need to arrange for their shed and to feed the you need quality feeder and other things so that cow gives you more milk. If you are a certified charted accountant or a lawyer then you start consulting your client right from comfort of your home. How to Start: You need to spread a word about your consulting business. You also need to build contacts so your get more clients. Minimum Investment You Need: You need expertise in this line, you need to buy an office space and time is very important here. Old age care or home is just like daycare for kids. Here you take care of old people who cannot live with their grown up children anymore. How to Start: If you know older people in your neighborhood that needs to be taken care of then start bringing them in your day care. Minimum Investment You Need: You need rooms for day care, then you also need few people to take care old men and women. The last but not the least small business idea is starting a computer training classes where you give training to people about MS office, tally etc. How to Start: You can rent a room and collect few computers and start giving training. You can also advertise through distributing leaflets about training classes. Minimum Investment You Need: Here you need to invest in buy computers, you can go for second hand desktop computers at least 4 to 5. Then investing in furniture and printing leaflets for advertisements. So there were 50 home business ideas with minimum investment. You can pick just one ideas out of 50 and start your home business right now. Thanks a lot for this helpful information. Such a nice information for home based jobs. Really amazing post. If anyone implement any 3 these jobs in their life then they do not need to offline job. You can start Business with low investment But Sometimes Its too hard to Start Alone, It is really good If you find a good & Trustworthy Partner. Can You Give me More Details About Bus Pooling Services ..
any leads for genuine people who can offer me that job ? This site needed to use the services of someone in the #39 home business. Tailoring and beauty parlour in these two business which is profitable and customer will be more . Give me some Ideas. I have always been looking for ways of earning on line. I hope money connexion.com will provide me what I need. Tq. how can istart data entry work or filpcart and ebay seller. And from where i register for that because here lots of data entry company pl. help me. I got very good ideas sir. This post made my day great! I used to have a bad mood but not until I see your post. These business ideas are authentic and reachable. I will be reviewing each of them and see or try a few which I prefer most. Thanks. i want help. how to start business and which business so demand.iam 21 year graduate person. We have ready work shop for tailoring related work & huge man power for hand work so any kind of tailoring related work for us it will be help full for us.